Fela Kuti born as Olufela Ransome Kuti was a Nigerian music maestro and the pioneer of Afro-beat. 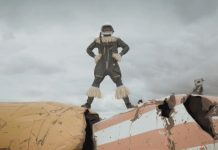 In forming Afrobeat, he mixed his African roots with his Music education. Immersed in his fame, he attracted attention everywhere he went with his extravagant lifestyle. “Fela had fourteen vehicles that I designed all the logos, emblazing them. So when we go, it’s an entourage. 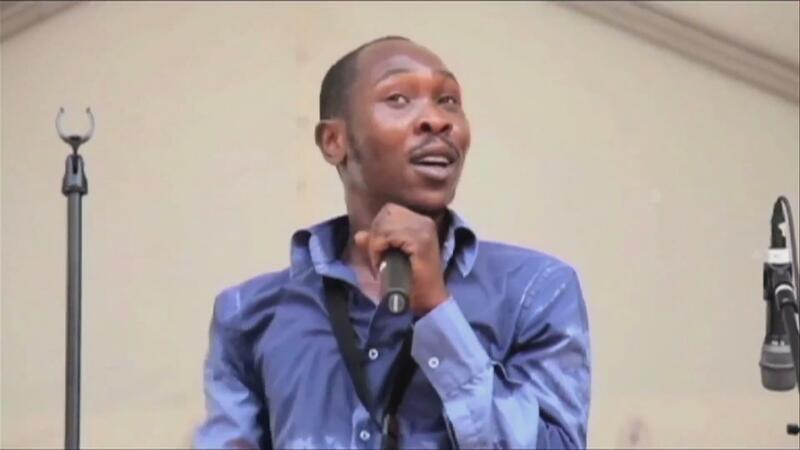 It was real superstar life,” said Lemi Ghariokwu, Fela Kuti’s album cover designer. Fela Kuti owned a nightclub called “The Shrine” where he held his performances. He was often seen with white powder on his face that was believed that he had taken the role of a chief priest. Exactly one year after the Kalakuta attack where he was persecuted and nearly killed by the government, Fela Kuti married 27 wives from his band. 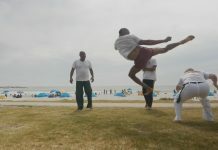 It was seen as a way of answering critics who accused him of abducting and keeping women. 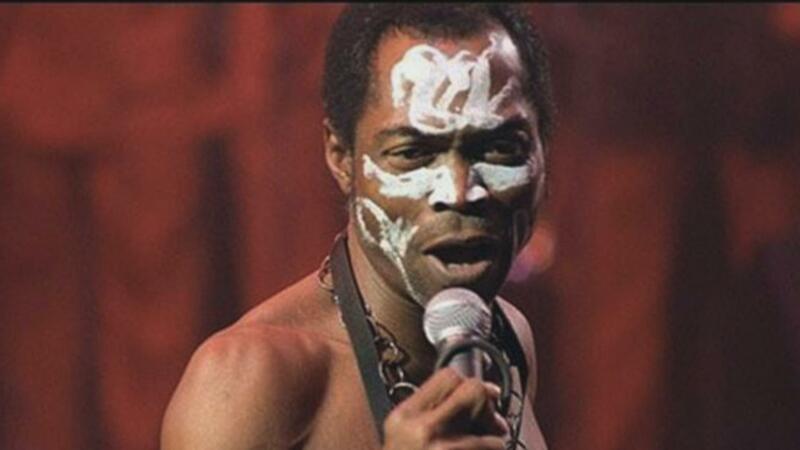 “It’s very important for a man to marry many women, because a man goes for many women in the first place,” said Fela Kuti. 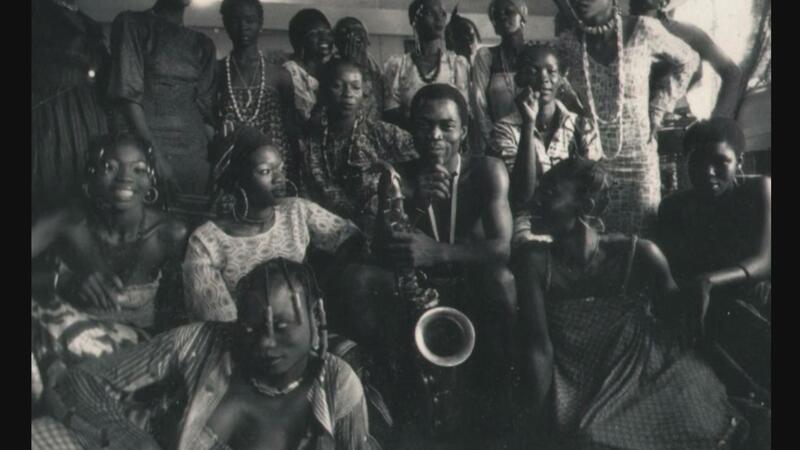 Fela Kuti with his 27 wives that he married on the same day. In 1979, Nigeria celebrated its 19th year of independence and the retirement of General Olusegun Obasanjo’s thirteen years in power. It was during this time that Fela Kuti led an entourage of his twenty seven wives to the gates of Dodan barracks, where Obasanjo lived. He surprised him with a farewell gift of a coffin that symbolized that of his mother, who had passed on the year before. 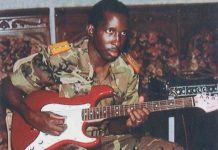 “This was a man after every harassment, imprisonment, beating, sustaining wounds, came out stronger, and he always had a new song for that incident,” said Tajudeen Olaleko, Fela’s Band member. It was around the same time that Fela released a song for Olusegun called, “Coffin for the Head of State”. “If you listen very closely, you could probably hear he was crying when he was singing that song,” Femi Kuti, Fela Kuti’s son said. 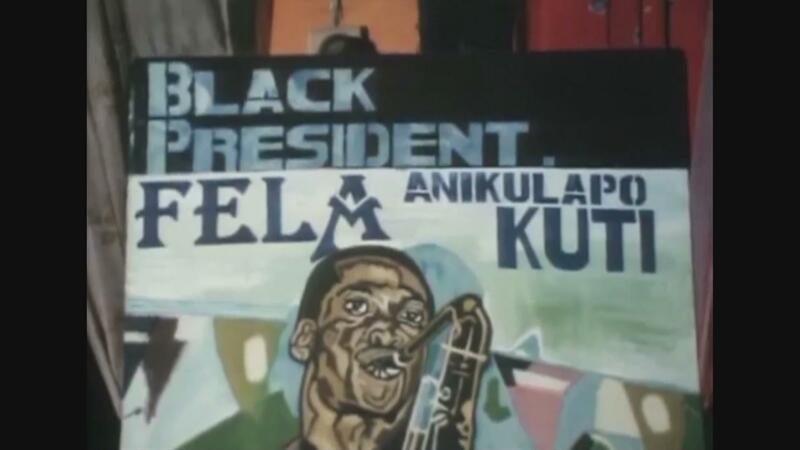 That same year, Fela formed the Movement of the People (MOP) political party and vied for the Nigerian presidency. Unfortunately, his candidature was rejected by authorities. 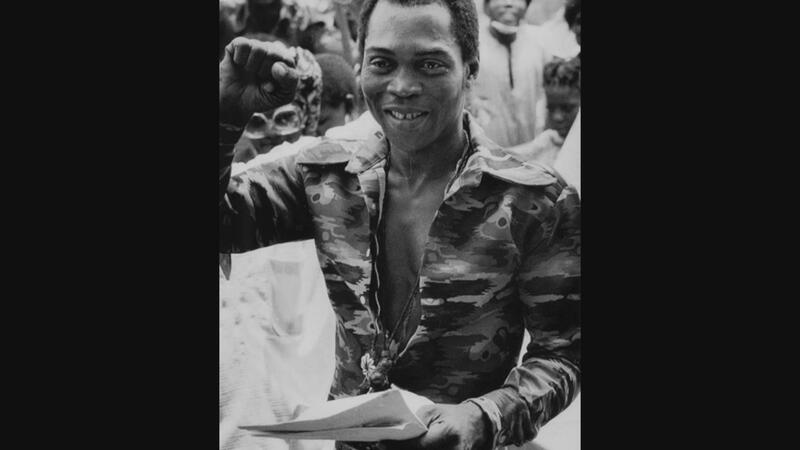 “They are trying to make the government into a two-party govt, where they won’t be able to register any more parties,” said Fela Kuti in one of his interviews. The blocking of his presidential ambitions did not stop his activism. And because he was a great advocate for anti-corruption in his county, he called onto Africans to be more vigilant against corruption. Fela Kuti’s Political Party, Movement of the People. Fela then released a 25-minute political screed entitled “International Thief Thief” naming all politicians involved in corruption. It was in the 1990’s that Fela slowed down on releasing his albums and he eventually stopped altogether. On 3rd August 1997, Africa lost a great activist and music maestro and it is claimed that Fela Kuti had died from HIV/AIDS. Two decades later, two of Fela’s sons, Femi Kuti and Seun Kuti have taken after their father’s music path to keep his music legendary alive. “Fela’s influence on African music can still be heard today,” said Eric Wainaina, a Kenyan artist.